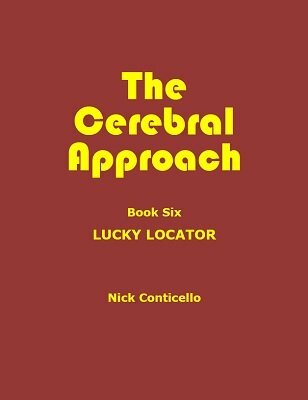 Nick Conticello wraps up his latest series with an effect which will amaze laypeople and fracture magicians! Working with a shuffled, borrowed deck, the performer looks through it to find a "lucky locator card." After some shuffling a volunteer cuts the pack, counts off ten cards and thinks of one, then buries the counted cards in the deck and cuts it. The performer runs through the deck and takes out the lucky locator. He begins describing the locator to the person who selected the card. Sometimes he's lucky and the locator card is the selection. Sometimes he's not, so he spells out a phrase describing the locator, such as "black Queen" or "red Diamond" and the last card of the spell is the selection. No sleights, no preparation. This is an excellent opener or stand-alone item. 1st edition 2019, 4 pages.